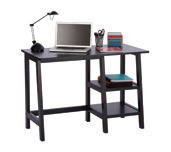 Going back to college or just want to save on a slew of office supplies? OfficeMax doesn't care - they are discounting an assortment of items this week, all the way up to 63% OFF. Is it random that I've always wanted a label maker? I could whip up names for every cabinet, room, cubby, shelf, or appliance in the house. I dare to dream, don't I? Click here to view the sale at OfficeMax.